On the prowl for alternatives to JIRA that your developers and IT team will appreciate? There’s no shortage of options, so don’t fret if you are preparing to replace JIRA. And what you’ll find on the other side will be a nice (and pleasant!) surprise. Those who test the waters outside of JIRA will find it was well worth the risk. Alternatives to JIRA provide innumerable benefits ranging from a lower comparable cost (in some instances no cost at all), application link time tracking, excellent integrations, to-do lists, board views, superior flexibility and agility, comprehensive issue tracking and robust tools for collaboration. You’ll also get advanced filters, advanced search functionality and mobile apps to boot. Give an alternative a chance and you will quickly find JIRA is an inferior project management tool in numerous ways. JIRA is certainly a valuable tool. This agile project management software empowers your group to communicate through basic channels with ease. JIRA software allows for integration with external systems, provides an overview of team activity, lets users establish permission settings, complete scrum projects and customize important workflows. 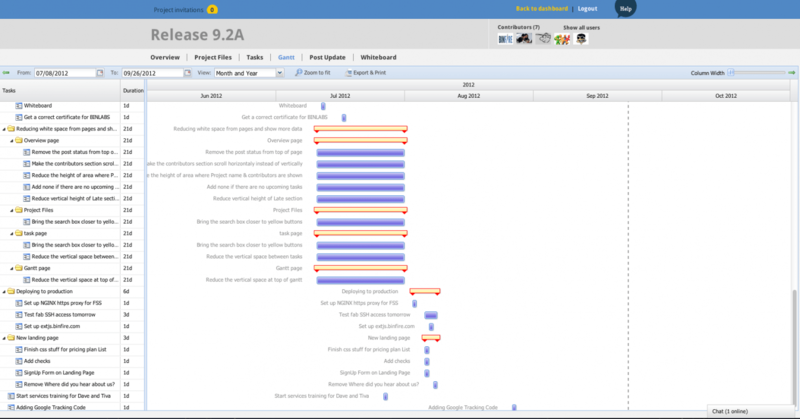 JIRA provides bug tracking to boot. You can even add innumerable custom fields. Interested switching to ClickUp? Import your tasks now! There is no doubt JIRA is quite the flexible project management tool. If your tech team and project management group is like most others, they find considerable value in managing projects with this program. Your group might have even tapped into JIRA’s most complex features that empower your managers to establish a highly customized system that works in accordance with their unique aims. However, looking for JIRA alternatives is prudent for a number of reasons. Why look for a JIRA alternative? Take a moment to consider the massive on-boarding effort required to learn this nuanced project management software. The learning curve is steep to say the least. If those who have used JIRA are honest, they will admit the software is clunky. They will also testify using this program on a daily basis is somewhat frustrating. The program has plenty of inefficiencies and often proves overly-complex. Project management teams that have tried the customization options find the process to be cumbersome. Those who are looking for a way to enhance productivity will find JIRA’s user experience design to be unnecessarily complex. It takes considerable time and effort to figure out how to use this interface in an efficient manner. Furthermore, when tasks require more than one person, JIRA’s weaknesses really stand out. The software does not permit multiple assignees. Practically what happens is that many people become watchers on the task, chipping in their comments and working on issues. However, this is messy and inefficient. Because you end up with two lists: the official JIRA assigned person and then the actual team working on the issues. In the end, no one will argue the fact that JIRA was built with development teams in mind. Organizations that do not rely on developers will find JIRA to be ineffective. As a result, there will be a significant disconnect when others are using a different program and expect compatibility with a project management team that relies on JIRA. Add in the fact that JIRA is quite pricey and you’ll see why so many are looking for alternatives to the software. Let’s take a look at some JIRA alternatives. Give ClickUp a try and you won’t have to deal with the JIRA Marketplace. ClickUp provides the majority of the features and integrations JIRA offers yet there is absolutely no cost at all. There are countless additional reasons to make the transition from JIRA to ClickUp. ClickUp provides a free version, the ability to make assigned comments, make to-do lists and task checklists, super rich editing, a multitask toolbar, simple/custom statuses, sprints, goals and more. Not to mention the top-rated customer support! Take advantage of ClickUp’s ClickApps and you will be able to enable the features you need for your workspace in a single click!. It does not get any more efficient than that. ClickApps lets you fully customize your group’s experience in each individual Space. Use this feature and your Spaces will be in perfect sync with your features workflow. Those assigned with the title of Admins are empowered to enable/disable ClickApps from two sections of the platform. 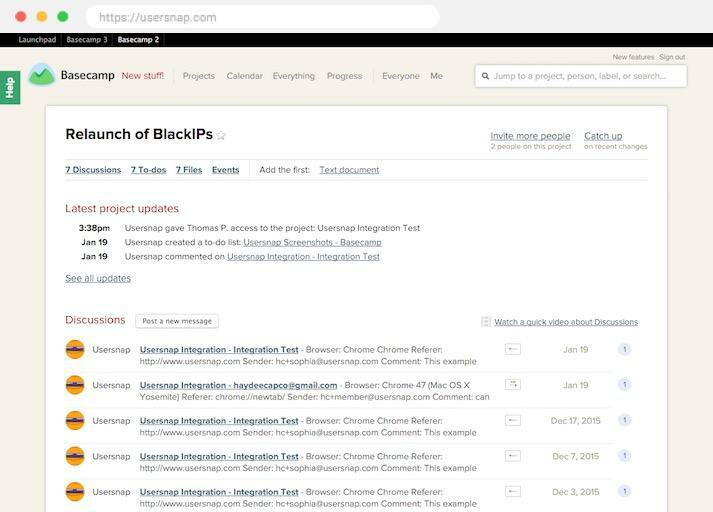 If your project management team has grown tired of JIRA’s usability, design, or the need to use more than a single platform for your project management needs, give ClickUp a try. Custom Statuses – Customize your workflow with statuses to fit each individual project. Integrations – Seamlessly manage and collaborate on Git workflows, sync time tracking with Harvest, and send tasks to and from Slack. Recurring Tasks– Automatically cause important tasks to repeat at specified intervals. 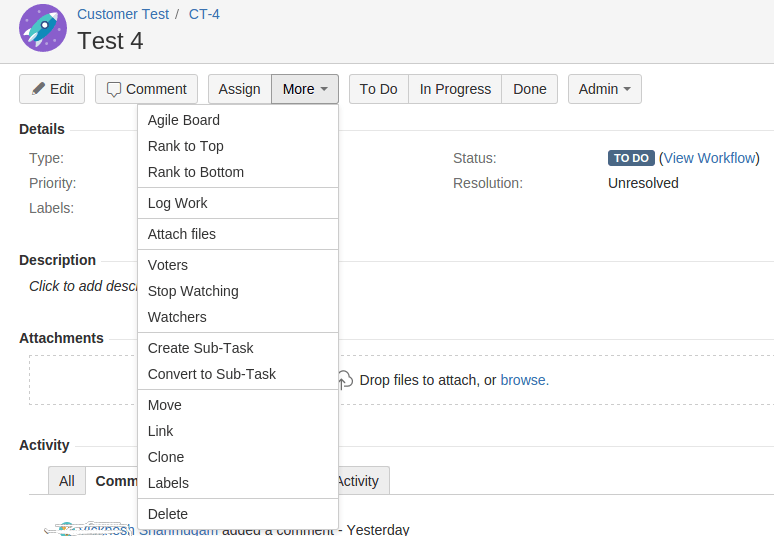 Sorting and Filtering– Drill down to view tasks arranged by assignee, priority, status, and more. Multitask Toolbar – Easily select multiple tasks or groups of tasks and make as many changes as you want with a single click. Rich Text Editing – With ClickUp’s intuitively beautiful rich formatting interface, there’s no need to limit a task to only basic text. Different Views – List View and Board View are standard views within ClickUp. But it doesn’t stop there. You get a box view for resource management, Gantt charts, a calendar and even docs, wikis, spreadsheets and embeddable views (in 2.0). With ClickUp, get the perfect view for developers, managers, and everything in between. Chrome Extension– Provides fully comprehensive features to increase productivity, including time tracking, image markup, and task creation. Templates– Retain the structure of your favorites Spaces, Projects, Lists, and checklists for later use. Calendar View– Get an overview of your entire workflow, and drag and drop tasks to reschedule. This includes a real two-way calendar sync. Priorities – Create custom priority levels, and organize tasks based on their importance to a project. Drag and Drop – Drag and drop tasks no matter where they are in ClickUp – Board, List, or Box view. Due Dates – Specify both time and day, and get notified when tasks are past due. Notepad– The perfect place to store notes unrelated to specific tasks or projects. Add checklists, rich editing, web links, and more. Favorites– Create your own customized sidebar to include sorting, filtering, and even your favorite view. Binfire is a comprehensive project management application used by engineering and software teams. It provides task management, Kanban Board, Dashboard, Interactive Gantt Chart, message board and soon event planning. It includes the full set of collaboration features needed to manage small and large projects. Binfire creates a virtual office where remote teams can work and collaborate with each other effectively. It has been used for project collaboration for large remote teams on three continents. Most of the engineering team working on Binfire’s projects is located in multiple locations. For this reason, remote work and group collaboration are embedded in Binfire’s genes. Basecamp is quite effective at steering those with different roles toward a common goal. This will work if your team has been shoehorned into JIRA, even though you’re not a developer or answering IT bugs and issue tracking. Basecamp won’t solve any of that. If you are looking for software that helps your group finish a project together, this is the software for you. It provides a pay-as-you-go pricing model without any sort of contract. There is an annual package for those who desire the system’s full range of features. The cost is not based on the number of users so you can involve as many people as necessary. Jump right in and you will find Basecamp allows for the delegation of tasks in an efficient manner and the monitoring of progress with ease. It doesn’t matter if your team is located in different time zones. Basecamp allows for remote project management that dramatically improves your project management team’s work agility and productivity. If you’re looking specifically for agile project management software, then consider PivotalTracker. Your team will get a shared look at priorities to help everyone decide which task to tackle next. PivotalTracker presents backlog lists, features and hotfixes to help your team pick and choose what to work on next. You’ll also see how fast your agile software development team is working, with a team velocity calculated by story points completed in each iteration. PivotalTracker even helps you plan your iterations with its guided Tracker tool to help you plan and break off manageable amounts of work. 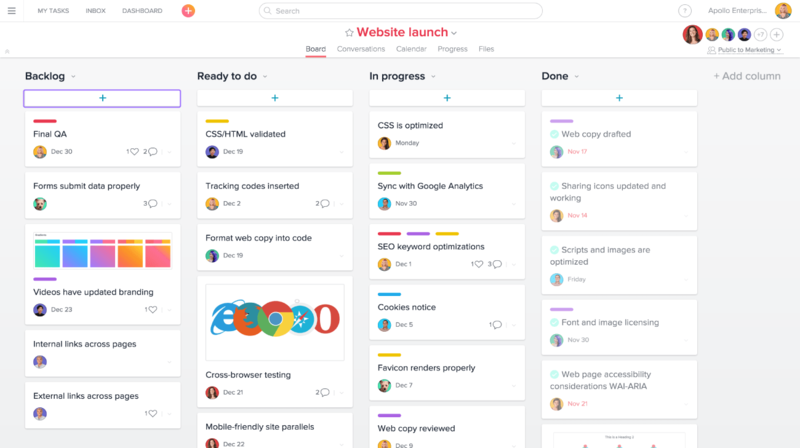 Asana has emerged as quite the popular project management tool for good reason. This software facilitates communication and collaboration across the entire project management team. Asana features include multiple workspaces, an activity feed, the ability to add assignees and attachments to tasks, email bridge, customized calendars and views, task tracking, real-time collaboration, project permissions and the ability to comment on tasks. Users can even see their co-workers’ tasks and priorities to boot. This is the type of transparency every organization needs. 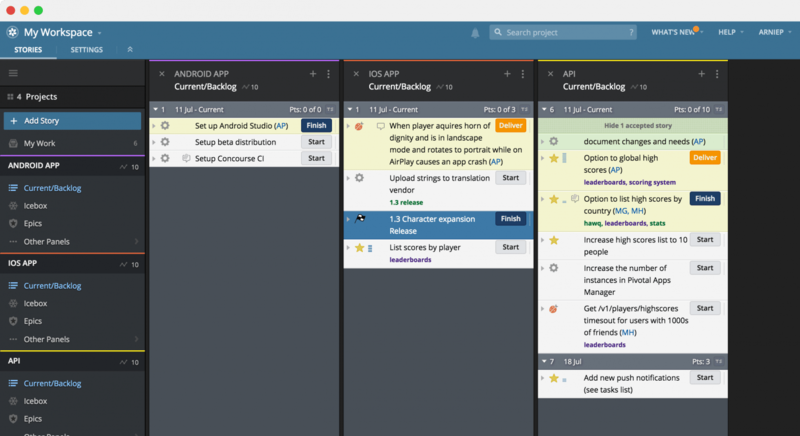 You can track progress of projects and tasks from an array of devices and browsers. There is no need to rely on third-party apps or email for corporate communications when you have Asana running. 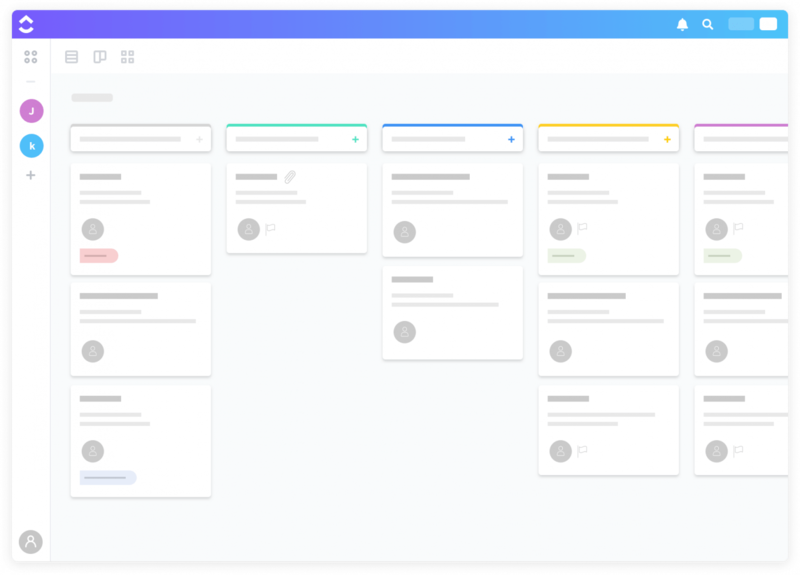 Let your team take advantage of Asana and you will find it streamlines workflows, facilitates task management and ameliorates diverse aspects of project management. Asana even provides a savvy tech team that can be contacted through numerous methods. If you ever run into a problem, you will find this tech team is more than willing to help implement an effective solution in a reasonable amount of time. Compare Asana and JIRA with ClickUp! Then import into ClickUp. 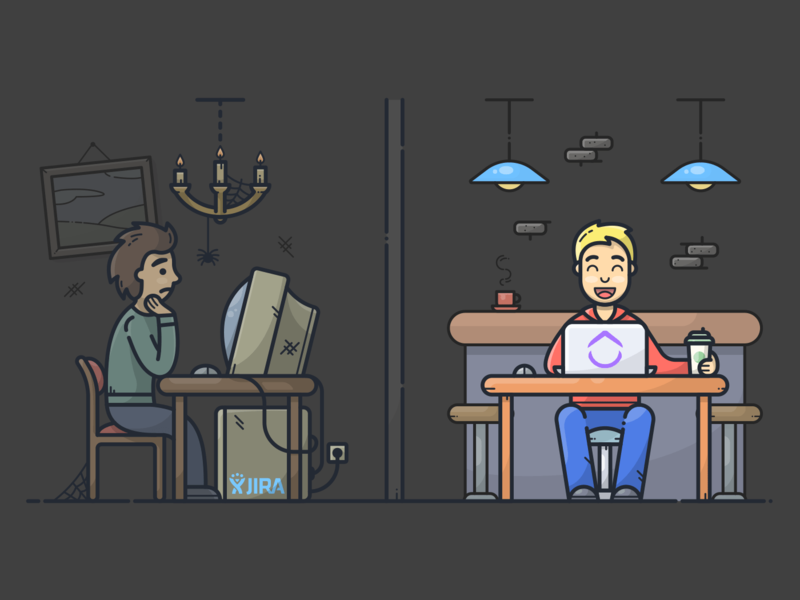 Clubhouse has emerged as a very popular JIRA alternative because of its simple, intuitive interface while still speaking the language of JIRA, if that makes sense. In other words, you’ll get the smart functionality of JIRA without the cluttered and outdated user interface. Everything starts with a story, where you can add tickets, bugs or a chore to form your story. It also has lots of easy digestible charts for burndown, estimates and more. 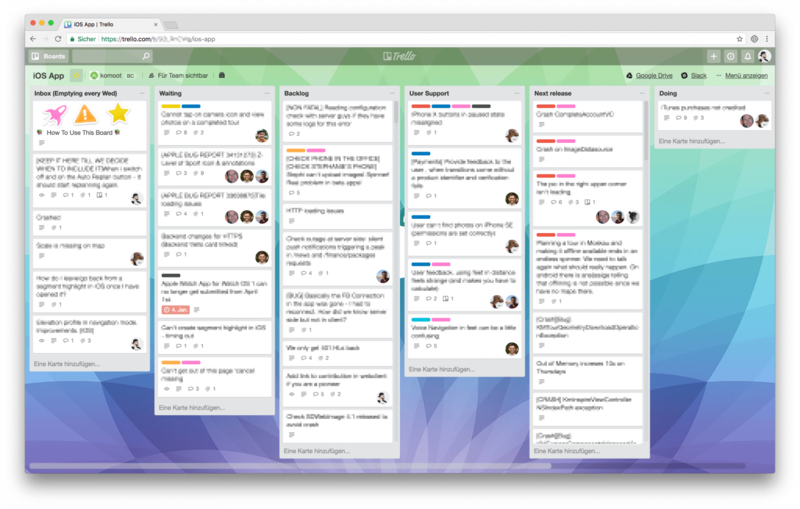 If you need a simpler board view than JIRA, but like the cards and status updates, then maybe you can try Trello. Interestingly enough, Trello is also owned by Atlassian–the same company that owns JIRA. But it’s not quite JIRA light. You won’t get complex things like story points or issue tracking, but you can set up different boards for backlogs, your sprint or next iteration. Those things will happen more easily than in JIRA, especially if your team isn’t on an enterprise level. Switching to Trello from ClickUp may be good for a smaller software development team that wants to manage projects at a fair price. What’s nice about Trello are their PowerUps that let you add burndown charts or a Gantt chart. You can add the features you need without paying for them at the beginning–it grows as you grow. All of this in an intuitive interface that won’t kill your spirit. Problem with Trello? It locks you into that board view without considering how lists or a Time View may be better for some users. Also, cards can get quite crowded if you have a lot of comments, making something like ClickUp a better choice for that. Go here to see why you should switch from Trello to ClickUp. Bottom line, JIRA is one of the most complicated project management tools around, rivaling only Microsoft Project (or Microsoft Planner) in its complexity. It is great for teams that know what they’re doing and need many features like bug tracking and tickets to track everything going wrong around them. But there are easy project management tools–like ClickUp–that give you many of the same capabilities without the difficult user interface. Choose your JIRA alternative wisely! Join 25,000+ teams using ClickUp to be more productive. Join 45,334 subscribers & get new content written by our award winning client success and operations teams! You're on the way to better productivity! Thanks for signing up! email as soon as ClickUp is available. and start using ClickUp in seconds!